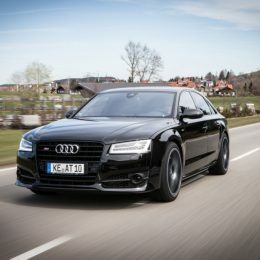 The Audi S8 is unobtrusively elegant and luxurious: a car for particular people who also want to be sporty, especially if it has been enhanced by ABT Sportsline. After all this Bavarian company has turned it into a super sports car that, as CEO Hans-Jürgen Abt puts it, “retains all the unique characteristics of a premium car“. At the top, we currently have the ABT S8, based upon the Audi plus model, whose 4.0 TFSI engine, thanks to ABT POWER S, now shows 735 hp or 541 kW instead of 605 hp (445 kW). Torque is now rated 920 Nm, up from 700. The elegant limo has thus been promoted to a league usually reserved to super sports cars. And Vmax is now an electronically throttled 320 kph. But the other versions of the 4.0 bi-turbo engine also got more ABT POWER: the 520 hp (382 kW) engine is now rated 675 or 640 hp (496/471 kW) and 840 or 780 Nm, up from 650. 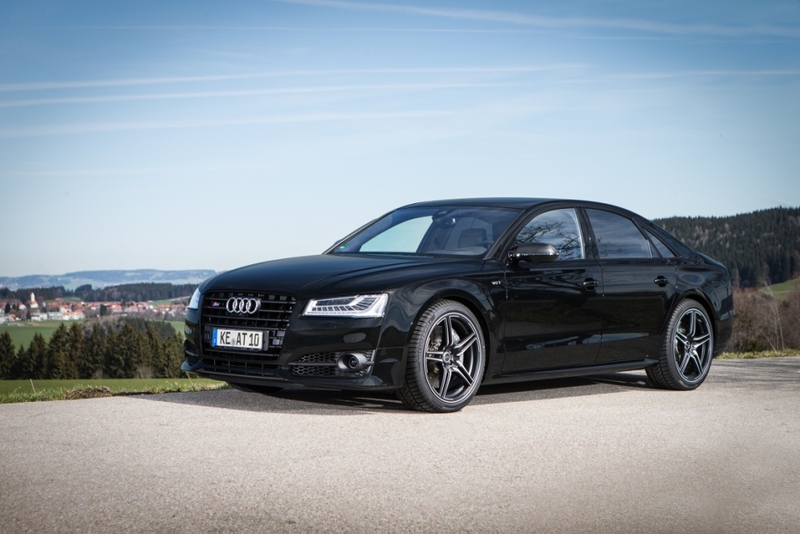 The “ABT POWERed” 605 hp (445 kW) S8 plus now shows 705 hp (519 kW), with a torque of 840 Nm (production car: 650 Nm). ABT Level Control System. 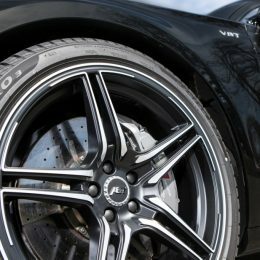 Needless to say that the electronic lower suspension setting of up to 20mm, front and rear, can be geared to what you want. And to let the ABT S8 Plus sound good as well and optimise its power, it features the stainless-steel ABT exhaust system. 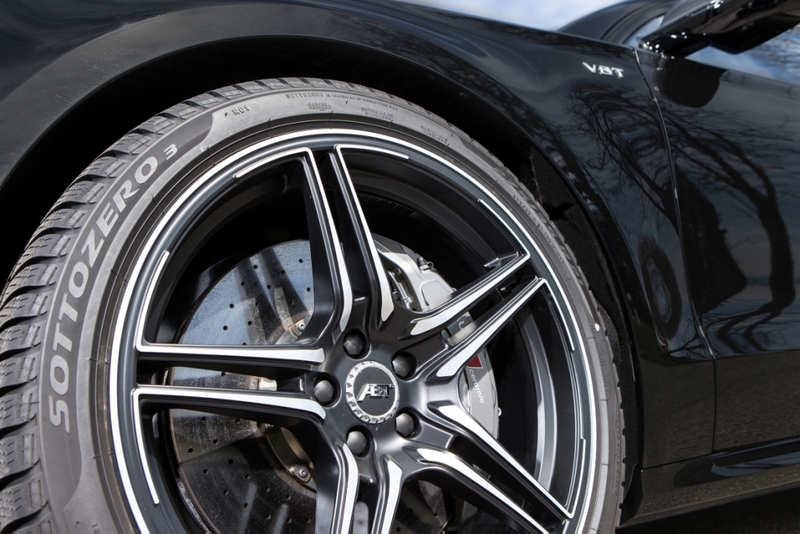 Its four-pipe look (ø89mm each) renders this premium super sports car among premium limos very assertive, also with the right fender inserts and integrated door entrance lights with the ABT logos. If you want to let it sound even more dynamic, also use a new pre-silencer pipe (no EC approval).